Not ready to commit to the dark earth tones of fall? Are you resistant to the pumpkin-taste-in-everything being forced on you so early this season? 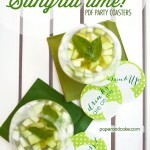 Hold on TIGHT to these last days of warm weather with our crisp and refreshing green sangria recipe. 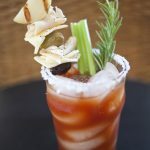 We take our Bloody Marys very seriously around here, and this time we are NOT playing around. We’re ditching the vodka for a whole new flavor in this Bloody Rosemary Recipe. I beg your pardon? Yes, you heard us correctly. 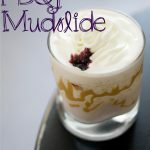 It’s two favorite warm-me-up cocktails is one! 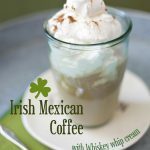 We’ve created this Irish Mexican Coffee recipe with Whiskey Whip Cream for our friends at HGVT.com, and wanted to share it with you too! So inspired by the Halloween season, we came up with this, Black Heart Cider. Made from real black hearts from the evilest villains of Halloween’s past. Ok… maybe not, but we can pretend! 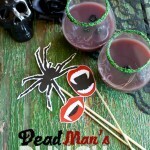 This drink pairs perfectly with our Wicked Halloween party decorations and a dark and spooky night.